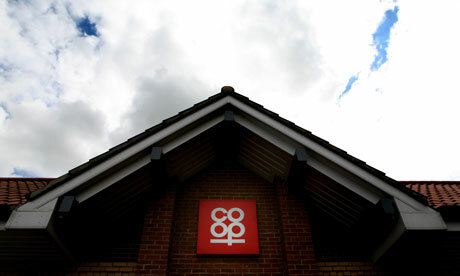 The UK's fifth biggest food retailer and its largest mutual business, the Co-op took the step as an extension of its existing policy which had been not to source produce from illegal settlements that have been built on Palestinian territories in the West bank. Now the retail and insurance giant has taken it one step further by "no longer engaging with any supplier of produce known to be sourcing from the Israeli settlements". The decision will hit four companies and contracts worth some £350,000. But the Co-op stresses this is not an Israeli boycott and that its contracts will go to other companies inside Israel that can guarantee they don't export from illegal settlements. The Co-op's decision will immediately affect four suppliers, Agrexco, Arava Export Growers, Adafresh and Mehadrin, Israel's largest agricultural export company. Other companies may be affected by the policy. Hilary Smith, Co-op member and Boycott Israel Network (BIN) agricultural trade campaign co-ordinator, said the Co-op "has taken the lead internationally in this historic decision to hold corporations to account for complicity in Israel's violations of Palestinian human rights We strongly urge other retailers to take similar action." A spokesperson for the Palestinian Union of Agricultural Work Committees, which works to improve the conditions of Palestinian agricultural communities, said: "Israeli agricultural export companies like Mehadrin profit from and are directly involved in the ongoing colonisation of occupied Palestinian land and theft of our water. Trade with such companies constitutes a major form of support for Israel's apartheid regime over the Palestinian people, so we warmly welcome this principled decision by the Co-operative. The movement for boycotts, divestment and sanctions (BDS) against Israel until it complies with international law is proving to be a truly effective form of action in support of Palestinian rights." Boycott campaigns against Israel are routinely denounced by Israeli officials as part of a drive to "delegitimise" the Jewish state. A law, passed last July, allows those that call for economic, cultural or academic boycotts against Israel, its institutions or areas under its control to be sued.